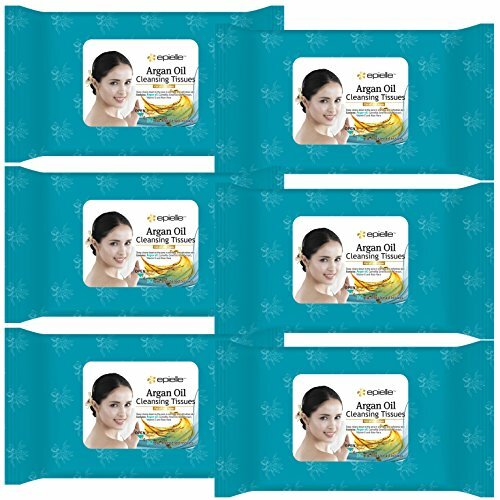 Kareway Epielle Argan Oil Makeup Remover Cleaning Towelettes, 30 Counts (Pack of 6) by Epielle at Elastic Heart. MPN: 0388. Hurry! Limited time offer. Offer valid only while supplies last. Epielle Cleansing Tissues have special dirt-trapping fibers that gently cleanse away dirt, oil, make-up, and even the toughest waterproof mascara. Epielle Cleansing Tissues have special dirt-trapping fibers that gently cleanse away dirt, oil, make-up, and even the toughest waterproof mascara. With the convenience of pre-moistened cloths, they work in seconds to leave you feeling smooth, fresh, and completely clean - anytime, anywhere!